Alan Alan, November 1926 – July 2014. Remembered by Michael Vincent. It is with great sadness that I report the death of my dear friend and mentor Alan Alan. He passed away on Friday July 4th at 21:00. The last two years of Alan's life were extremely challenging to his health and fiercely independent spirit. Between myself, Richard McDougall and Noel Britten, we took on the responsibility of taking care of Alan ensuring that he could enjoy a quality of life while preserving his sense of worth and personal dignity. Without question Alan was a giant among men. His contribution to show business with his death defying escapes, his generosity of spirit to the world of magic, through his magic shop "The Magic Spot", The Magic Circle and to all of his students he mentored over the years, is a legacy of a life well lived........on his own terms. 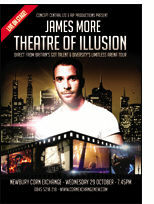 Illusionist James More has just announced two special UK theatre dates for his full stage show 'Theatre of Illusion'. These dates have been scheduled between performances in Dubai and Russia, and are the only opportunity to see his full theatre show in the UK, this year. "I'm very excited to announce two very special shows for the UK this October and I can't wait to show everyone what I've worked so hard to achieve. I want people to experience the magic as it should be seen, up close and personal! Tickets are very limited. 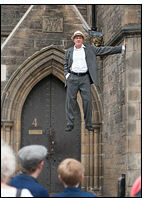 I can promise a great night with some spectacular illusions that will have you on the edge of your seat," said James. Latest trailer: Click Here. Tickets are now on sale. Modern Magic. A Lecture from Will Houstoun, International Magic, London: "We are delighted to welcome Will Houstoun to lecture for us on 22nd July. 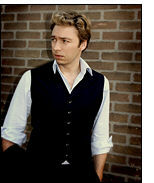 Many of you will already be familiar with Will's work in magic as a performer, historian and author. Will also specialises in consultancy for film and advertising as well as instruction on both the technical and historic aspects of magic. 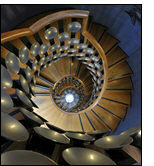 He also edits The Magic Circle's 105 year old magazine, The Magic Circular. In this special lecture for International Magic, he will teach and discuss a number of items that he has been working on over the past decade, including some of the effects that made him the youngest ever European Champion of Close-up Magic and for which he has been booked to lecture around the world, including multiple appearances at The Magic Castle and The Magic Circle. Steve Gore updates: Back from his recent lecture and run of parlour shows at The Magic Castle in Hollywood, Steve Gore has a few more UK lecture dates to announce. Some dates have changed, so do check.